Need more motivation cos your diet’s already on its way out? 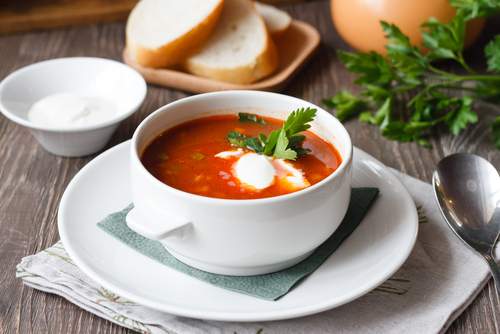 Look no further than these delicious, healthy summer soups that’ll have you looking and feeling beach ready in no time. You could always order soups like cauliflower soup, vegetable soup, and mushroom soup, but we’ve done the hard work for you in picking out some other winners. All you need to do is get ordering and slurping on these soups that’ll leave you feeling as light as a feather. A silky tomato soup that’s rich and super tasty is best served with some toasty bread and a drizzle of cream. When the temperature is rising and you’re sitting in a pool of sweat, it may be a bit comforting knowing that there’s something more red than the your beach sunburn. 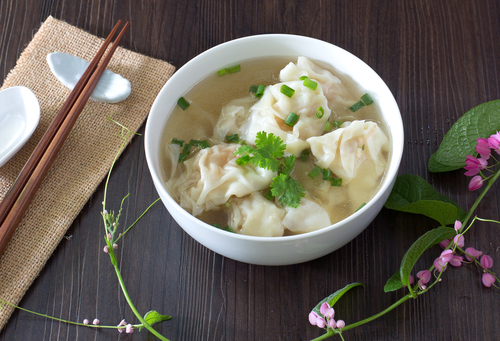 The only dish you’ll be wonton tonight is a big bowl of Asian chicken broth with pork-filled wontons. If you love dumplings (who doesn’t) we reckon you’ll love these boiled dumplings in soup. 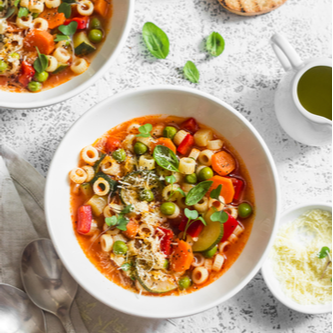 Vegetable soups are great all year round, but minestrone soup packed with delish pasta and veggies is always going to satisfy and keep you feeling full. 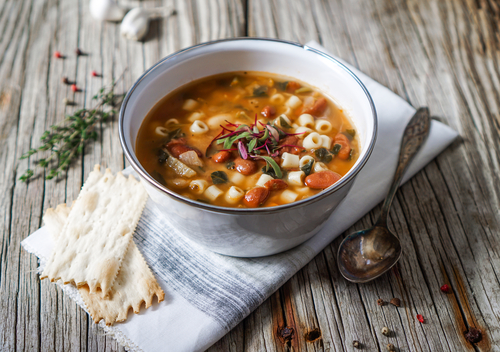 Who doesn’t love soup that also has pasta in it? 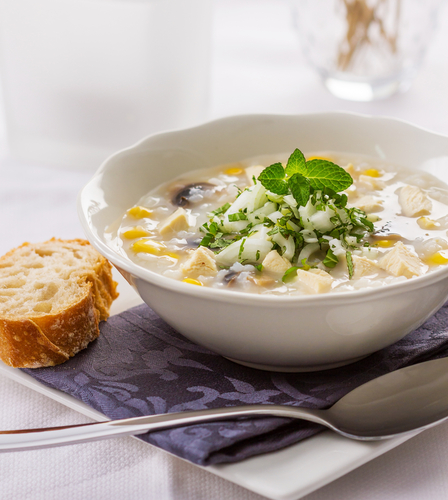 Chicken soup is great when you can’t get out of bed but chicken and corn soup takes things to a whole new level. You probably grew up with mum making this one, and we’re sure she set the bar quite high. Just give it a chance, we’re sure you’ll love it - but you might not want to tell mum you got someone else to make it for you.